Mark Huss is currently Senior Principal Enterprise Architect at Medtronic. 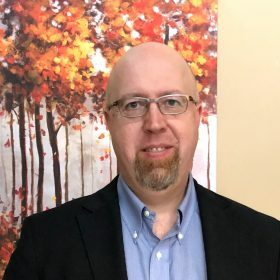 Mark has a long background in IoT and AI and specializes in new and emerging technologies and products and shaping companies to take advantage of them. Mark has held senior technology management and CIO positions at various companies in Biotech, Healthcare, and others. He holds a bachelor’s degree in Linguistics, an MBA and has graduate work in Artificial Intelligence.